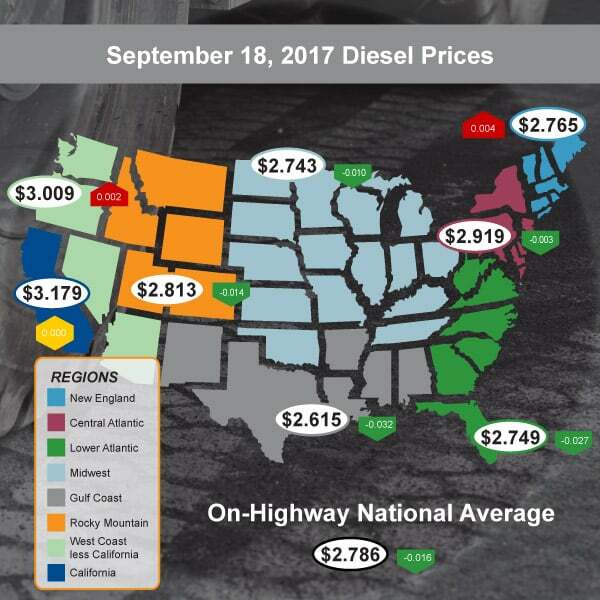 Diesel prices begin to settle after three weeks of increases according to the U.S. Energy Information Administration. The on-highway national average fell a total of -$0.016 to $2.786. The Gulf Coast experienced the greatest drop with a change of -$0.032 down to $2.615, the nation’s lowest average. New England had the highest increase with a $0.004 bump to $2765, while California still had the highest average of $3.179 despite not changing from last week.